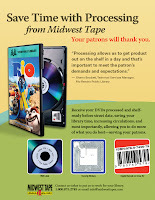 Recently, Midwest Tape featured ads in Video Librarian and Library Journal. 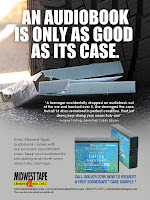 These ads differ from our usual slicks in that both include personal testimony from our customers and both focus very specifically on particular Midwest Tape offerings. If you click either image below, you can view the full page ad. We’d love it if you’d take a moment to check them out and give us your feedback. What do you look for an advertisement? What do you think makes ads most effective? What’s your favorite ad (any industry) or the most memorable ad you’ve seen? Share your critiques here as comments.